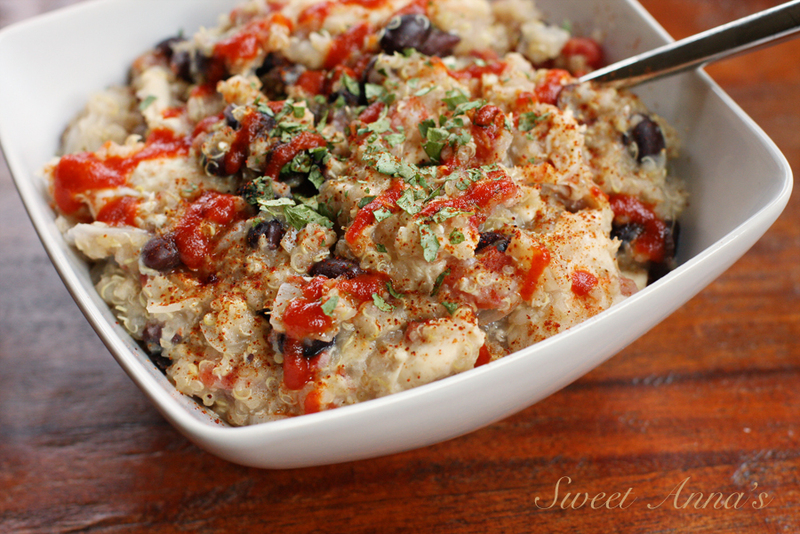 Your family will love the fresh, light taste and at the same time, the comforting satisfaction of this low-fat, but fully delicious crockpot meal! You can dress this one up anyway you like… cilantro and sriracha? sour cream and green onions? more salsa and some shredded cheese? Fresh diced avocados or guacamole?? Any way you top it, you will enjoy it! Also, if you haven’t tried my Healthy Slow Cooker Chicken & Brown Rice, add that one to your list… it’s a favorite! 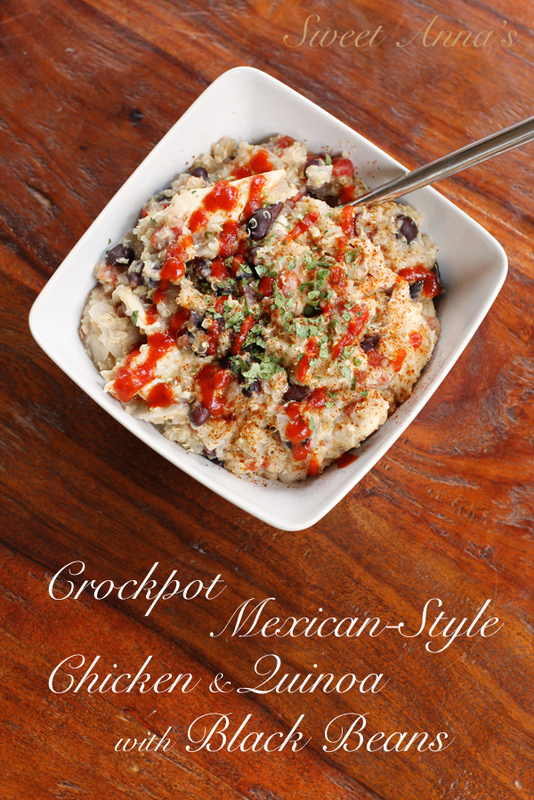 What is your favorite crockpot meal? Grease your slow cooker insert, if it's not non-stick. Put the chicken stock and quinoa in a bowl and microwave until just boiling, around 4-6 minutes (or do this step in a small pot on the stove!). Stir together the remaining ingredients, except for the cream cheese, in your crockpot. When the quinoa/stock mixture has come to a boil, pour it into the crockpot and stir to combine. Cook on LOW for 4-5 hours, until the quinoa has absorbed all the liquid. About 15-30 minutes before you are ready to serve it, stir in the softened cream cheese (or low fat cheese wedges). Serve warm with fresh chopped cilantro, a squeeze of sriracha, or some light sour cream!